Sending Belinda and Russ huge congratulations on their beautiful wedding at the equally beautiful Leez Priory, just north of Chelmsford. The stunning Leez Priory is the perfect setting for a rustic naked wedding cake which is what the happy couple chose to have. 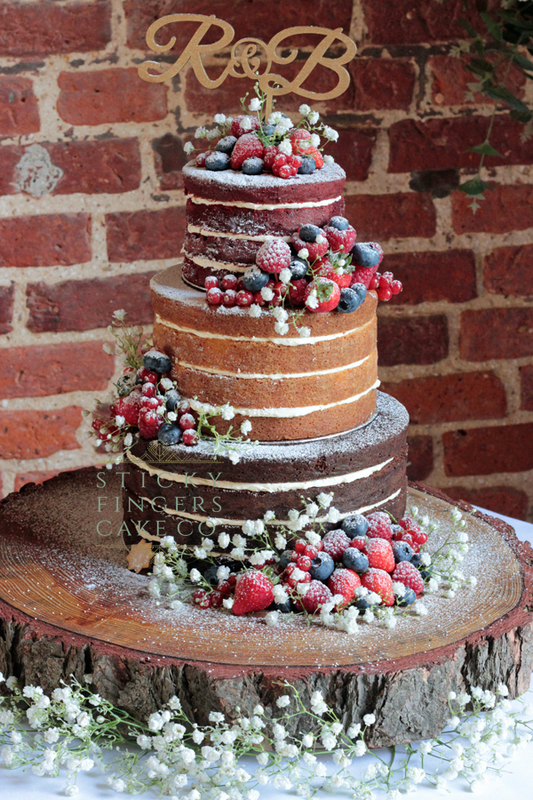 Their wedding cake was decorated with seasonal fresh berries and a dusting of icing sugar and displayed on our log cake stand – perfect! The flavours they had were Black Forest, Strawberry & Champagne and Red Velvet, how scrummy do they sound!